‘Luxury cigar lounge’ is a confrontational trifecta of words. The description gives a fairly clear indication of what to expect but what level of luxury are we talking about? Is this a men’s club? Is it a spot for pseudo social-elitism? Or is it a post-work paradise? We approach the new Cigar Collection in Wyndham Street determined to put ourselves in the latter’s school of thought. After all, the patrons of this private club are legally allowed to indulge indoors, so we’re going to see if they like the tipples that go with it. We think they do. And that’s because the tangible atmosphere of refinement and relaxation works in tandem with the vast menu that takes you through the venue’s signature product. 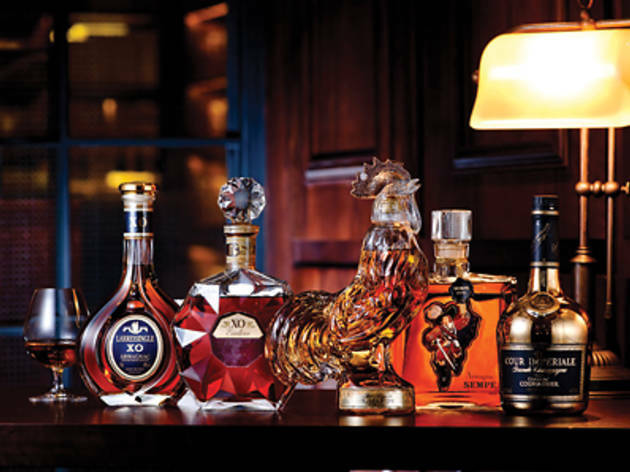 And, on top of this, the lounge sports an impressive drinks list that includes premium brandies from far-flung places like Ireland, France, the USA and Japan, with rarities up to 40 years old. 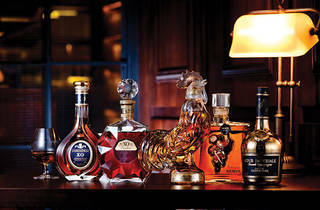 And then there’s the whiskies and fine wines – including 40 signature bottles of Mouton Cadet from Bordeaux. We’re impressed. We decide that a house remortgage isn’t in order so we keep it fairly basic with our whisky choices, tucking into a Macallan 12-year-old ($100) and a reverently poured Yamazaki Hibiki ($120). The Macallan is as we’d expect – peaty, smooth and sporting that trademark amber glow that makes it look perfectly at home among the rocks in its handsome glass. And the Hibiki single malt is also wonderful, with its plummy tones and its distinctly fruity Japanese flavours and aromas. Aside from the drinks, though, the venue is as committed to luxury and taste in its décor. It lives up to the private lounge aesthetic to the point of parody, so the interiors fall somewhere between gregarious and absolutely stunning. Confusing, yes, but the obvious hard-on for retro Brittania is so well realised that you can’t help but just wholly embrace it. There’s plenty to look at here, with the lounge covering a sprawling 4,500sq ft. The crowning jewel is the breathtaking art that adorns the walls, with 20 rare paintings worth more than $10 million making for some cultured viewing. Cigar Collection 6/F, South China Bldg, 1 Wyndham St, Central, 3188 5168.